LOS ANGELES—Hot, dry Santa Ana winds are expected to fan several relentless wildfires in southern California on Thursday, where hundreds of houses have burned and tens of thousands have fled their homes around Los Angeles, the second-largest U.S. city. The winds, which blow westward from the California desert, were forecast to reach 75 mph (130 kph) on Thursday. That could stoke several blazes burning in the Los Angeles area that have already caused, according to local media, about 200,000 people to evacuate. “Strong winds over night creating extreme fire danger,” said an alert sent by the countrywide emergency system in Los Angeles. Video and photographs on social media showed flame-covered hillsides along busy roadways as commuters slowly made their way to work or home, rows of houses reduced to ash and firefighters spraying water on walls of fire as they tried to save houses. Another fire, known as the Rye Fire, threatened more than 5,000 homes and structures northwest of Los Angeles. The Skirball Fire, which erupted early on Wednesday had burned about 500 acres (200 hectares) near large estates in the Bel-Air neighborhood of Los Angeles, was only 5 percent contained. 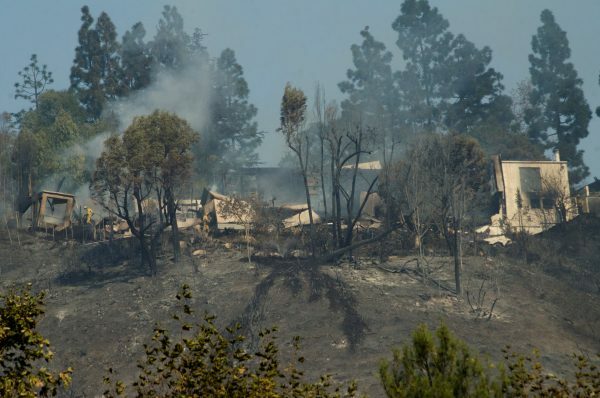 Firefighters battled to save multimillion-dollar homes in the path of the flames. No civilian casualties or fatalities have been reported. Three firefighters were injured and hospitalized in stable condition, the Los Angeles Fire Department said. Dozens of schools across the area canceled classes on Thursday. The largest blaze, the Thomas Fire, burned more than 90,000 acres (36,000 hectares) after it destroyed more than 150 homes and threatened thousands more in Ventura, about 50 miles (80 km) northwest on Los Angeles. 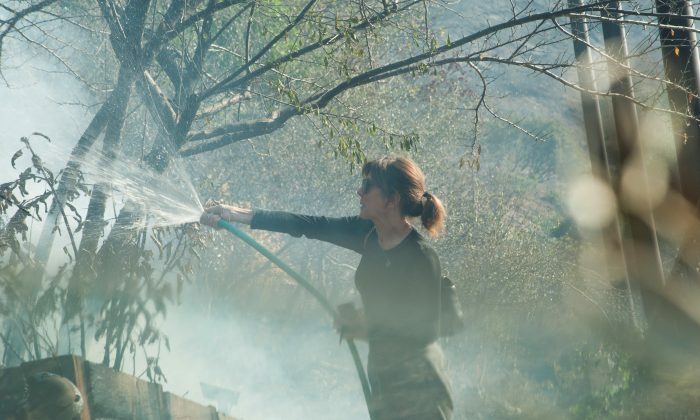 Additional evacuations were called for late on Wednesday in the Ventura area, where 50,000 people had already fled their homes over the last three days. 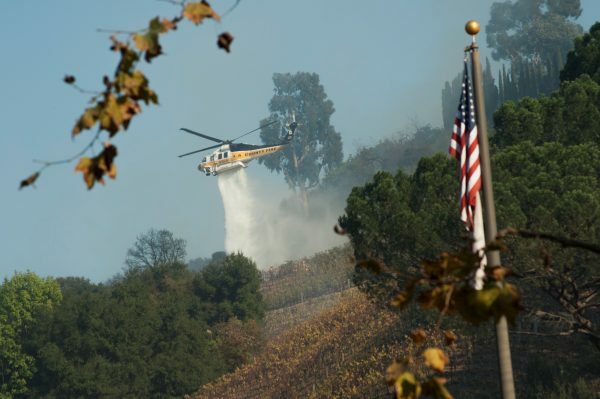 “The danger is imminent,” Cal Fire said in its evacuation notice.